As a songwriter, guitarist, and live vocal looper, Jenny’s music has been described as falling “somewhere between winking innocence and worldly detachment,” garnering comparisons to Suzanne Vega, Imogene Heap, and Michael Hedges. She has opened for Dolly Varden, Sons of the Never Wrong, and Sloan Wainwright among many. Her three albums receive national and international airplay, and her most recent recording was the recipient of an Illinois Arts Council grant. Playing at the Chicago French Market has special meaning. Her album, GIRL FRIDAY, was recorded live at the Ogilvie Transportation Center in 2011. Breaking new ground in performing songs built upon layers of vocals, enabling her songs to nestle within a choir of harmony voices, her performances gained a reputation as one-of-a-kind, can't miss experiences. GIRL FRIDAY branded her as an unabashed innovator. 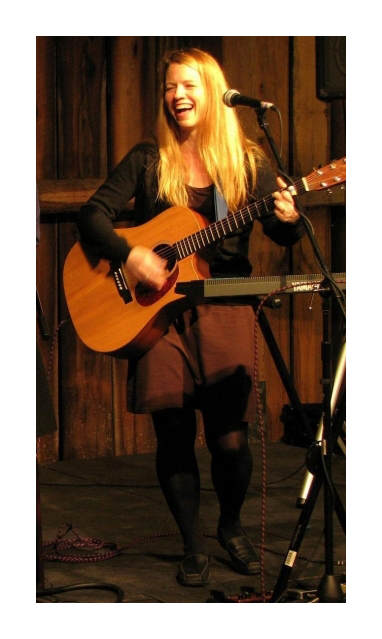 Stop in before your commute or walk home to enjoy several original songs performed by Jenny Bienemann. The Oak Park native’s sound, a combination of lyrical song-work paired with jazz guitar, creates a relaxing and fun concert.